You don’t bring Melee Weapons to a gun fight, being a high risk high reward hero comes with its fair share of challenges. Genji Shimada, also a three-star hero like Doomfist himself, functions in a very similar way but can excel at his job much easier as his passive ability and his active ones allow him to easily engage or disengage a target. Let’s not forget that his passive ability exists in the fact he can double jump, making his hitbox smaller while advancing, and can run up walls to further evade or get height advantages on enemies. Genji also has the ability to headshot, in a way snipe enemies from a distance as well as fling his ninja stars in a manner which act as a shotgun blast. So why am I talking about Genji? Genji happens to be the first character I decided to main in Overwatch. Before season 1 competitive was even a thing I usually enjoyed unlimited quickplay matches with teams of Torbjorn, Widowmaker and Pharah—You know cause Pharah looks like freaking Samus Aran with jetpacks. Eventually, I decided to try out this obviously, Cyborg Ninja (Metal Gear) inspired character who didn’t use a sword to attack, outside of his ultimate of course—A huge pet peeve of mine, he only uses his sword during Ultimates? I thought. However, once I truly learned how to use Genji meaning, mastering Swift Strike resets, building meter as soon as possible by not dying and by dealing damage, and using my Dragon Blade in proper conjunction with other teammates ultimates; sacrificing my blade to take out a high priority target who was capable of denying a team ultimate or completely reviving the enemy team, I felt extremely useful and I felt my time with the game had been validated as I could actively see the results from my leaning to play the character. Genji, soon after season 1, was nerfed heavily… His triple jump removed and the ability to swift strike though traps forced me to adapt yet again. Later, his Dragon Blade was nerfed from 8 seconds to 6 seconds, again I had to further hone my skills. Sadly, Doomfist didn’t have the luxury Genji had as I will explain… Doomfist’s nerfs began while on the PTR pre-release, almost as if half the stuff the community found with him was completely missed or ignored in testing and development of the character, as soon as Doomfist released much of his tech and tricks were completely patched, range of seismic slam slashed, rocket punch also had a range nef… Eventually they even cut the hitbox on the attack and that was when I started to stop playing the character completely. In other genres, say fighting games, larger characters have unique ways of balancing their toolkit. 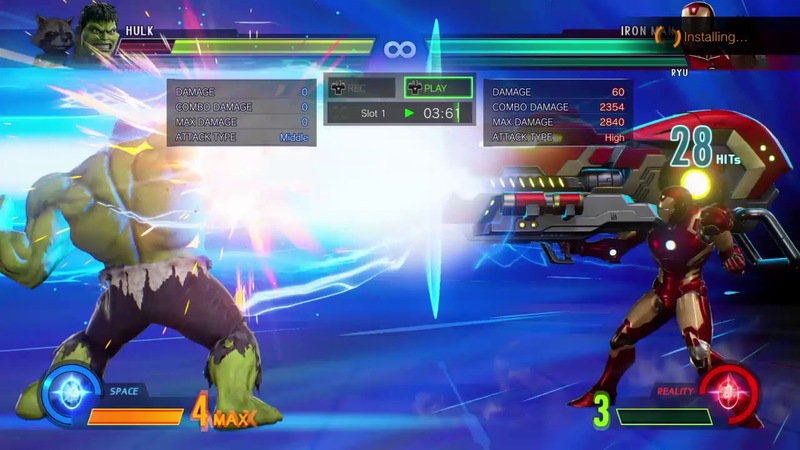 One ability larger characters have is “Super Armor”, the ability to tank specific attacks, while receiving the same damage as everyone else the character is immune to stun or other effects which would render a normal character in a hit animation or stun. Doomfist has a passive ability which allows him to gain shields for every enemy he hits, but they are slowly drained and ultimately don’t had much health when he is as large as a tank character and is taking bullets, arrows, icicles, and rockets to the face. Additionally, Doomfist’s mobility isn’t much to boast about as they are all tied to his active attack abilities, no passive escapes here. Doomfist is quickly destroyed by organized teams or random players with a couple stray shots on a character who is probably on cool-down—Well, if he didn’t already kill you. More often than not, Doomfist trades meaning he is always going to have the same amount as deaths as he does solo-kills, even worse if he is matching deaths with eliminations (which mean he isn’t contributing at all to the team fights). Rocket Punch Hitbox Nerf Too Unforgiving; the ability already had glitches due to network interference/lag that contributed to him passing though enemies but now it can be nearly impossible to hit some characters unless they are tanks or are distracted with other teammates. Mobility tied directly to attack skills; Doomfist, unlike Genji is usually met with the decision to either attack or die trying to escape. Most Genji mains know not to swift strike away while taking hits as Genji is vulnerable during the swift strike, as if genji stood completely still till after the attack was finished. Doomfist is just a huge hulking piece of hitbox that any hitscan hero can spray from a distance… If you are trying to kill someone, it’s almost better to just die and trade than retreat at the last minute. Seismic Slam near useless In small spaces and sometimes its hard just to get a decent height advantage just to render the maximum damage potential for the move. Additionally the stun is minimal and I’ve often seen people move while in stun away from Doomfist. Rocket Punch has a disappearing cross-hair! Yeah, great, a move which was reduced in size now is still harder to aim with because the cross-hair disappears when charging and releasing the attack. It’s already bad enough he can’t hold down his charge indefinitely. Regardless of all of this, Overwatch still seems to have other issues. Hopefully with the release of Moira and upcoming heroes in 2018 we can begin to slowly add more Tank and Support Heroes. However, for me, I’m going to continue avoiding Overwatch till some changes are made in how the game is balanced. I tend to feel that some heroes, especially Doomfist, get nerfed too quickly after a massive change has been made– Or you know, before people actually learn how to engage the character in battle. If you want to ask someone about buffs and nerfs, check out the Marvel vs Capcom: Infinite community and how they are trying to cope with Dante, Ultron, and the Reality Stone.